Situé à Valle de Bravo, le Rodavento propose la combinaison d'un hébergement au milieu de la forêt, au bord d'un magnifique lac privé, avec l'élégance et le luxe de l’architecture unique de l'hôtel. L'établissement se trouve à 2 heures de route de Mexico, ce qui en fait un complexe facilement accessible. Vous apprécierez la culture mexicaine, chaleureuse et colorée, le frisson de l'aventure en plein air, ainsi que la modernité du Rodavento Boutique Hotel & Spa. Ce Bed & Breakfast historique se compose de 2 bâtiments principaux avec 8 chambres décorées de façon individuelle. Il est situé à seulement 4 pâtés de maisons de la place principale de Valle de Bravo. Les chambres du Meson de Leyendas disposent d'un four micro-ondes, d'un mini-réfrigérateur et d'une cafetière. Certaines chambres comprennent une cheminée traditionnelle mexicaine. Un petit-déjeuner mexicain typique est servi chaque matin au Meson de Leyendas. L'établissement propose également une connexion Wi-Fi gratuite et un jardin tropical sur place. Au Meson de Leyendas, vous pourrez découvrir le marché artisanal voisin ou faire un tour de bateau sur le lac. Les montagnes environnantes sont idéales pour la randonnée. Surrounded by beautiful forests close to Valle de Bravo, Hotel El Rebozo offers a swimming pool and a traditional Mexican restaurant. Its quiet rooms and bungalows all have cable TV and free Wi-Fi. The hotel buildings echo the traditional buildings of the region, creating an authentic ambience. The rooms all have their own fireplaces, as well as seating areas. El Rebozo has a children’s play area, while the small spa offers massage. In the evening, you can dine on the terrace, or choose from the long list of cocktails in the rustic-style bar. The small town of Mesa de Jaimes is just 1 km away. Lake Avándaro can be reached in about 15 minutes’ drive. Housed in a former stable building, this hotel with outdoor swimming pool offers horse riding excursions in the beautiful surrounding countryside. It is just 10 minutes’ drive from Lake Valle de Bravo. All rooms at Las Caballerizas feature traditional décor with tiled flooring and a fireplace. They are equipped with free Wi-Fi, satellite TV, a DVD player and a mini bar. The private bathroom includes toiletries. Guests can enjoy Spanish food at the spacious dining area or in the garden surrounded by pine trees. There is also a snack bar service from 14:00 to 16:00. Las Caballerizas is about 10 minutes’ drive from the centre of Valle del Bravo. Free Wi-fi is available throughout the hotel, and a secure on-site parking is also available. Located in the beautiful Valley of Valle de Bravo, this hotel features an outdoor heated pool, a hot tub and a Temascal steam bath. There is also a sports court. Loto Azul is an eco-friendly hotel surrounded by ornate gardens. It was built following the Feng-Shui philosophy, using natural materials such as wood, stones and quartz crystals. The hotel features a spa room and a sauna, offering a wide range of beauty treatments like floral therapy or massages. Rooms at Loto Azul feature an ethnic décor, and come with a private bathroom and a cable TV. They also have a seating area with a fireplace. For dining, guests can enjoy local cuisine at the restaurant, or a drink at the chill-out bar. There is also a pool-side bar that offers snacks. Nevado de Toluca National Park is 24 km away, while Mexico City is 1 hour and 30 minutes’ drive. Located in a natural setting between Valle de Bravo and Avándaro, this bed and breakfast features beautiful ornate gardens. It has a terrace with fireplace and an outdoor hot tub. La Casa del Rio offers rustic guestrooms with fireplace. All rooms have a private bathroom, a sofa bed and coffee maker, while master suites feature a private terrace with garden views. 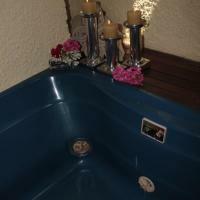 A typical Temascal steam bath is featured in Casa del Rio, and a massage service is available at an extra cost. Acupuncture sessions, yoga lessons and sports like mountain biking or paragliding can also be booked in La Casa del Rio. This bed and breakfast is less than 1 hour drive from Nevado de Toluca National Park. Toluca city centre is 73 km away. Just 5 km from Valle de Bravo, this charming bed & breakfast offers a lush garden with a hot tub, a free Wi-Fi zone and shaded outdoor seating areas with views of the valley. Las Luciernagas is decorated in warm colours, with traditional clay floors and hand-painted tiles. Each bright room has a TV and DVD player, a minibar and a private bathroom with toiletries. Served on the terrace or in the garden, the free continental breakfast includes juice, fresh fruit, yogurt and granola. Dinner is available on request. You can also prepare meals in the communal kitchenette, which include a microwave, coffee maker and minibar with soft drinks and beers. 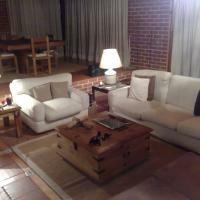 Las Luciernagas is just a 10-minute drive from Lake Avandaro and the historic town of Valle de Bravo. You can find shops and restaurants in Avandaro, just 3 km away. Hotel Ixtlan is located on Valle de Bravo’s main street, just 15 minutes’ walk from Lake Avándaro. It offers rooms with cable TV, free Wi-Fi and a private bathroom. 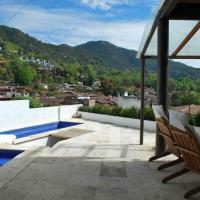 Guests at the Ixtlan have access to a shared terrace with mountain views. You can hire a bicycle from reception. The hotel is 1 block from the handicrafts market, and 4 blocks from the town centre. Nevado de Toluca National Park is a 45-minute drive away, and central Toluca is just over an hour’s drive away. Located in central Valle de Bravo, La Capilla Hotel Boutique offers spacious suites and an outdoor swimming pool. It offers a 24-hour reception and a restaurant. Each suite at La Capilla Hotel Boutique has simple, classic décor. There is free Wi-Fi, a laptop safe and a flat-screen TV. Some suites also have a sauna or terrace. Guests can enjoy a buffet breakfast in La Capilla’s restaurant. There is also a bar. Valle de Bravo Port and Avándaro Lake are within 1 km of the hotel, while Joaquin Arcadio Pagaza Cultural Centre is a 10-minute walk away. The lakeside La Peña Park is 2 km from La Capilla. The colonial-style Hotel Casa Abierta is set in Valle de Bravo, one of Mexico’s Magic Towns. It is 5 minutes’ walk from the Avándaro Lake, the Alameda Bicenteario and the art and craft market. 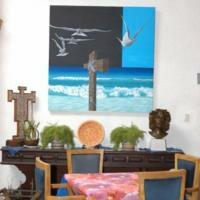 Rooms at Hotel Casa Abierta have been carefully decorated and feature free Wi-Fi. Each of them comes with cable TV and a private bathroom. The hotel offers a 24-hour reception and a café where you can taste homemade brownies or relax while having a glass of wine. The Cascada Velo de Novia Waterfall or the Monte Alto Reserve can be reached in approximately 15 minutes’ drive from Hotel Casa Abierta. 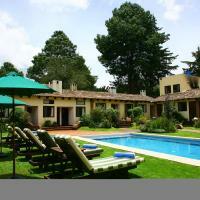 Featuring beautiful views of the woods, this hotel is located in a quiet residential area of Avandaro, Valle de Bravo. It offers free Wi-Fi in public areas and rustic-style rooms with heating and TV. Las Piñas Avandaro is 20 minutes’ drive from the centre of Valle de Bravo, where restaurants and shops can be found. The Avandaro Lake is 4 km away. This hotel organizes a range of activities such as guided walking or horseback trips and paragliding on the lake. Services such as free private parking or tourist information are offered. Special services like in-room hair and makeup are available. Each charming room at Las Piñas has heating and a private bathroom with shower and free toiletries. A coffee maker is available in the communal lounge, and a hairdryer can be requested at the reception. Offering stunning views of the surrounding countryside and only 7 minutes’ drive from Valle de Bravo this boutique hotel offers an outdoor pool, a spa and exclusive suites with free Wi-Fi. Each suite has been carefully decorated and features rustic-style furniture. They all include a flat-screen TV and a private room. Some Suites have lake views. The restaurant at Suites en la Montaña serves regional and national cuisine. It also offers a wide selection of grilled meat, fresh fish and seafood. There is also a pool bar where guests can relax while having a cocktail. The spa features a wide range of massages as well as beauty treatments. Nevado de Toluca National Park is 1 hour drive from the hotel. Cabañas Revi is located amid the forest and Molino waterfall is located inside its facilities. The hotel offers outdoor swimming pool, free Wi-Fi, and great views of Valle de Bravo Lake. Cabañas Revi offers comfortable rooms that may feature a kitchenette, dining area and a fireplace. All rooms feature cable TV, private bathroom and free toiletries. Cabañas Revi is 3 km from Valle de Bravo's centre, where there is a craft market, and restaurants that serve typical Mexican food. The lake is 1 km away. Free parking is available on site. 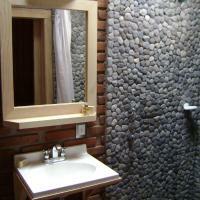 This modern hotel is located 5 minutes’ drive from the Avandaro Lake in Valle de Bravo. It offers comfortable rooms with free Wi-Fi, 15 minutes’ walk from the centre. Quiet rooms at Hotel Tierras Blancas feature a ceiling fan and all come with cable TV, a telephone and a private bathroom. There are various bars, restaurants and shops within 10 minutes’ walk of the hotel and activities include sailing and paragliding at the nearby lake. The Velo de Novia Waterfalls are 45 minutes’ drive away. The Tierras Blancas has free parking and is 90 minutes’ drive from Mexico City. Located in the middle of the forest, Hotel El Arco features an outdoor swimming pool, a garden and free Wi-Fi access just 5 minutes’ drive from Valle de Bravo centre. Hotel El Arco has a rustic-style décor, and its rooms offer cable TV, free Wi-Fi access, and private bathrooms with shower. The hotel has complimentary breakfast on Saturday and Sunday. On-site private parking is provided. Hotel Valle Dorado is located 50 metres from Avandaro Lake and 5 minutes' drive from Valle de Bravo Main Square and its cathedral. It features a furnished terrace, free Wi-Fi and free parking. The rustic-décor rooms feature wooden furniture, wardrobe, cable TV and garden views. 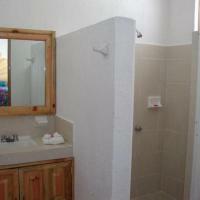 The tiled bathroom is private with shower and free toiletries. The restaurant at Hotel Valle Dorado offers typical Mexican cuisine and steak food. The meals can be enjoyed either in the garden, or the furnished terrace, and there are barbecue facilities. Guests can also arrange at the hotel activities like hiking and horse riding. Valle Dorado is 1 hours’ drive from Toluca Town Centre and its international airport. Nevado de Toluca volcano is 1 hour and 30 minutes' drive away. Only 3 km from central Valle de Bravo, Hotel Santa Rosa offers panoramic views of Avandaro Lake from the outdoor pool area and terrace. The hotel also features gardens, free toiletries in the rooms and a 24 hour front desk service. The rooms at Hotel Santa Rosa have a private bathroom with shower, cable TV, and the terrace each room features has lake and garden views. Free Wi-Fi is available in public areas. The guests can reach Valle de Bravo within 10 minutes’ by car, the dock is reachable within 700 metres and ‘El Molino’ cascade is just 500 metres away. In central Valle de Bravo you can find an art craft market. Within 85 metres, guests will be able to reach either French or an Italian restaurant. Toluca city is 75 km from Hotel Santa Rosa, and Mexico City is just 1 hour and 50 minutes’ away by car. Free parking is available on site. Surrounded by extensive gardens and fruit trees, Hotel Rancho Las Margaritas offers a solar-heated swimming pool, a helipad and free parking. The rustic-style rooms feature a TV and private bathroom. Rancho Las Margaritas has a traditional restaurant serving local cuisine, and room service is available. Bars and restaurants can also be found in the centre of Valle de Bravo, a 10-minute drive away. The hotel is situated just a few minutes’ drive from the shores of Lake Avándaro. Valle de Bravo Bus Station is a 10-minute drive away, while the Monarch Butterfly Sanctuary is a 45-minute drive away. In the woodlands of Valle de Bravo, Villas Paraiso offers views of the woods and the Avandaro Lake. With a fireplace on every accommodation, and complimentary breakfast, guests will also enjoy the outdoor pool and hot tub. The accommodations at this place offer a wardrobe and TV, and the bathrooms have free toiletries. The houses feature an equipped kitchen and dining area. At Villas Paraiso is a Mexican restaurant. For other meal options, guests can find different restaurants at central Valle de Bravo, 15 minutes’ drive away. Villas Paraiso also has free Wi-Fi connection and parking on site is possible. The art craft market is 15 minutes’ drive from Villas Paraiso, and Toluca City can be reached within 1 hour drive. This hotel is located 400 metres from Valle de Bravo Main Square and 5 minutes’ walk from the Valle de Bravo Bus Station. It features free Wi-Fi and hiking tours to Monte Alto Nature Reserve. The rooms have basic décor and wooden furniture, safety box and cable TV. The bathrooms have shower and free toiletries. The guests at Posada Familiar Real del Valle can find several food options within 600 metres. They can also arrange tours to Valle de Bravo town and to the viewer Los Tres Arboles and La Peña. The property is 600 metres from Avandaro Lake and 400 metres from San Francisco de Asis church. Toluca International Airport is 1 hours’ drive away. Located in central Valle de Bravo, Hotel Bugambilias is 50 metres from Valle de Bravo’s bus station. The hotel also offers free private parking and Wi-Fi throughout. The Lake is 10 minutes’ walk away. Each functionally decorated room has a wardrobe and cable TV. The private bathroom features a shower. Guests will also be able to find a variety of restaurants and bars just 200 metres from Hotel Bugambilias. In Valle de Bravo’s downtown there are different art crafts stores and markets. La Peña is 10 minutes’ drive away, and Avandaro can be reached within a 15-minute drive. In central Valle de Bravo, close to the art craft markets and food markets, Villas y Suites los Encinos offer fireplaces, bath and flat-screen cable TV in all its accommodations. The suites feature wooden furniture and light coloured décor, seating area and a minibar. The private bathroom has also a shower. Villas y Suites los Encinos is also close to different restaurant options, 1 km from the property, that serve typical regional food, Mexican dishes and seafood and international meals. The Valle de Bravo Lake can be reached after a 15-minute walk, and the art craft market is only 8 minutes’ walk away. Toluca International Airport is 1 hours’ drive from Villas y Suites Encinos. This hotel boutique is located 200 metres from Avándaro Lake and 7 minutes’ walk from Valle de Bravo Main Square. It features free Wi-Fi in public areas, complimentary breakfast on Thursdays and Fridays, and swimming pool. All rooms at Danzaluna Hotel Boutique offer modern décor, seating area, cable TV and private bathroom with shower and free toiletries. The restaurant at this hotel boutique serves international cuisine and also there is a bar. There is also a variety of food places at town centre. Danzaluna Hotel Boutique is 500 metres from Valle de Bravo cathedral and 10 minutes’ drive from the Toluca-Valle de Bravo Motorway. Toluca International Airport is 1 hour’s drive away. Featuring extensive gardens with rivers and lagoons, recreation activities and free Wi-Fi, Rancho El Reencuentro is set in the shores of Avandaro Lake and 7 km from Valle de Bravo Town Centre. The rooms at this guest house offer rustic décor with wooden floors and ceilings and a private bathroom with shower. They also offer Wi-Fi access and a safe. Rancho El Reencuentro serves to its guests a Mexican-style buffet. The room rates include Continental breakfast. There are also a variety of food places at Valle de Bravo. Activities as horseback riding, hiking, farm activities and biking can be arranged at this accommodation. A games room and hammocks in the garden are also available for all guests. Some of the available lessons given at Rancho El Reencuentro includes vegetarian cooking. 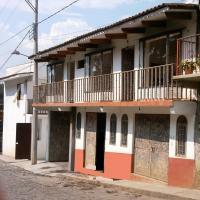 El Reencuentro is 20 minutes’ drive from the Handcraft Market and just 4 km from Tilostoc Dam. Toluca International Airport is a 1-hour drive away. Vila del Arco is 1.5 km from Avándaro Lake and 5 minutes’ drive from Valle de Bravo Main Square. It features free Wi-Fi in all areas, panoramic mountain views and free private parking. The rooms offer basic décor, ceiling fan, wardrobe, cable TV and a private bathroom with free toiletries. Guests at Villas del Arco will find a variety of Mexican restaurants and food places within 300 metres. 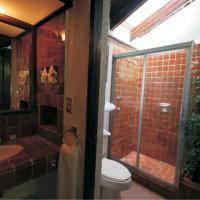 This property is a 50-minute drive from Toluca City Centre and from Zitácuaro Town and the Monarch-Butterfly Sanctuary. Toluca International Airport a 1-hour drive away. Located in Avandaro, this rustic-style property offers its guests terraces, gardens and banquet facilities where parties and events may be held. It also has free Wi-Fi and private parking on-site. 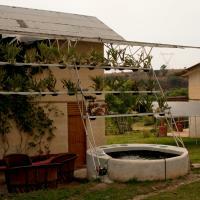 Hotel Finca los Girasoles’ accommodations are comfortable and overlook the gardens. They include flat-screen TV and wardrobes; the bathrooms have showers and provide free toiletries. Guests staying at Finca los Girasoles are 5 km from Los Pericos Restaurant, specialized in seafood and international-style dishes. Valle de Bravo’s town centre is a 10-minute drive from the property, where other food options can be found. The Go-Karts race track is located across from Finca los Girasoles, and Club Avandaro is 2 km away. Toluca and Toluca’s International Airport can be reached in a 1-hour drive. Located in Valle de Bravo, one of Mexico’s Magic Villages, this spacious house offers an indoor swimming pool, hot tub, BBQ facilities and gardens with terraces. There is space to park up to 10 cars and free Wi-Fi access. Quinta del Valle’s bedrooms are well illuminated and have light coloured beddings. All furniture is made with carved wood, and it also has a bar counter in one of the 3 independent leaving areas with fireplace. 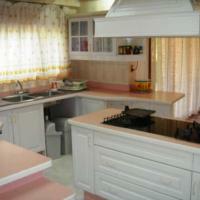 The kitchen is well equipped with hob, oven, fridge, microwave and kitchenware. The Sanchez Trinidad market is 1.3 km from the house; there guests may buy food to prepare at home. The services of a cook are available for a fee. The house also includes daily cleaning services and help staff. Guests may find a variety of Mexican and International-style restaurants in central Valle de Bravo, 1 km away. La Peña is 5 minutes’ drive from Quinta del Valle and Valle de Bravo’s Lake is 7 minutes’ drive away. Located just 2 km from Lake Avandaro, the Las Brujas holiday home near the travel destination of Valle de Bravo offers guests free parking, a fireplace and BBQ facilities. This 3-Bedroom Home features a TV with a DVD player and a fully equipped kitchen. The property also offers a private garden and a panoramic view of the surrounding countryside. Guests can cook at home or visit one of the many restaurants serving national and international cuisine located within 5 km of the property. The property is located just 8 km from the Valle de Bravo city centre, where guests can browse local stores or arrange outdoor activities, including paragliding, yacht tours and horse riding. The Izar Golf Course is located only 7 km from the property, and the Nevado de Toluca National Park, just a 30-minute drive, offers visitors a range of activities, including hiking and eco-tourism. The Toluca International Airport is located 90 km from the property. Located in central Valle de Bravo, just 3 minutes’ drive from the Bus Station, this house is right across the Yacht Club Marinazul and overlooks the Avandaro Lake. Casa Terraza features a Mexican-style décor, and has 4 bedrooms, 5 bathrooms, private outdoor pool with heating, fully equipped kitchen and an extensive garden. The house includes CD and DVD players, cable TV, telephone line, sun decks, plus a dishwasher and a clothes washer. While staying at Casa Terraza, guests can enjoy all Valle de Bravo’s activities, like sailing in the lake, playing tennis or enjoying the variety of restaurants and gourmet eateries, night clubs and tours to go mountain biking, mountain hiking or flying on a delta wing. Toluca and the International Airport are 1 hours’ drive away. Surrounded by forest, Cabañas El Estribo Hotel offers rustic-style accommodation, a free mini-golf course and a business centre with free Wi-Fi. Lake Avandaro and Valle de Bravo are a 20-minute drive away. Each wooden room has a furnished porch, a private bathroom, satellite TV and a fireplace. Rooms include a coffee machine, microwave and fridge, while chalets also have a separate lounge and full kitchen. Cabañas El Estribo offers an international restaurant, open daily in high season and at weekends during the low season. There are also on-site BBQ facilities, and local restaurants can be found within an 8-minute drive. El Estribo features a children’s playground, a games room and free bicycle rental. At an extra cost, you can also arrange activities including massages, paragliding, kayaking and quad biking.There is also an area for camp fires. Toluca International Airport and Mexico City can both be reached in around 1 hour and 15 minutes away by car. Free private parking is available on site. Offering free Continental breakfast, rustic architecture and massage services, the Hotel Tonancalli is located 5 minutes’ walk from Valle de Bravo Main Square and from the Avandaro Lake. The rooms with regional décor offer wooden décor, a fan and a private bathroom with shower and hairdryer. Free Wi-Fi connection is available throughout. Guests at Hotel Tonancalli will enjoy regional dishes at the on-site restaurant. As well a variety of restaurants offering local food is within 3 minutes’ walk. This property also features bikes for spinning exercise, a TV room and a tour desk. The Velo de Novia Waterfalls is 15 minutes’ drive away and the Nevado de Toluca National Park is 1 hour’s drive away. The hotel is 50 minutes’ drive from the Toluca International Airport.